If you were a fairy.... wearing a coloured tutu, what would you do? The mind boggles, the answers provided here for one person racing in the Costume CX race at the 2013 Rapha Sydney Supercross, held today at Sydney Park. 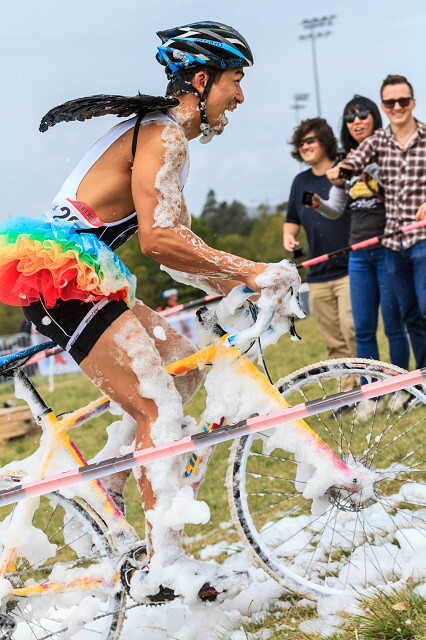 The foam was an additional obstacle added to the course after the finish line as the riders started a new lap. There was mayhem and fun had by all.